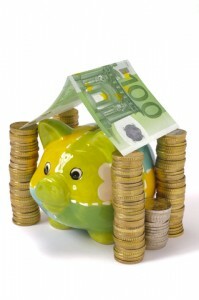 Some Spanish banks are happy to deal with expat clients and speak English too. Q. What do I need to open a bank account in Spain? A. To open a bank account in Spain you first need a valid passport and NIE number if you’d like a residents’ account. If you’d prefer a non resident’s account (perhaps to avoid paying capital gains tax or just for buying property) you must ask for a certificate of non-residency from the police office and renew this every 2 years. You will need to show proof of income and proof of address and it shouldn’t take too long to open. They should then send your bank card within a few days to your home address or you can choose to pick it up from one of the bank’s branches. Take care to choose your bank carefully and that there are no hidden charges you aren’t aware of. Some banks will charge a small monthly fee if you don’t deposit a minimum amount into the account, most banks will only allow you to withdraw money from their own bank’s ATM machines at no extra cost but will charge you you to withdraw money at other banks’ cash machines. Read more about the different banking options and services on offer in Spain and please contact us if you’d like help in opening a bank account. Q. 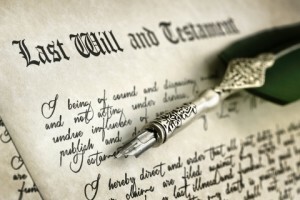 Is Inheritance Tax set to change? A. The Spanish comisión de expertos put forward a proposal to Hacienda this month to streamline the inheritance tax contributions, which varies wildly depending on the region under the present system. The new proposal would mostly favour the regions of Murcia, Andalucia, Asturias, Extremadura, Canarias, Castilla de Leon, Aragon and Galicia. However, those regions which have almost deleted the inheritance tax for family members – ie. Madrid has a 99% reduction – would be worse off, paying a higher tax contribution than they are currently. This Cinco Dias article includes an informative illustration to highlight the changes by region. The long term plan, mentioned by the president of the commission Manuel Lagares, in March, is to erase inheritance tax, encouraging saving and to keep inline with the rest of Europe. But for now, this impending change may prompt you to reassess your will and testament, to which there is more information here. If you need any assistance with creating your will or discuss an inheritance, please call us on the number above to see how we can help you.